RatedX wrote: On another note, it's really surprising that the 6 Asia and Oceania contestants which got into the Top 20 is pretty much South East Asia (Malaysia, Myanmar, Philippines, Thailand, Vietnam) with the exception of Japan. They could have just said "the 5 SEA countries moving on to the Top 20" instead of Asia and Oceania because it's pretty much a blackout for the rest of Asia and Oceania, other than Japan. They cannot do that because Indonesia is a SEA country and didn't place. you did well co-hosting the show nina. well done! Continent of THE Africa? THE Asia??? Who's is the female host in maroon? This win is for Janson. For real? I find hime cuter when he was a kid. Now, I don't really like him. Philippines has done it again. Shut up. You should be thankful I work for Miss Intercontinental! Puerto Rico has done it many times. Can't win without the presence of Rican judges. 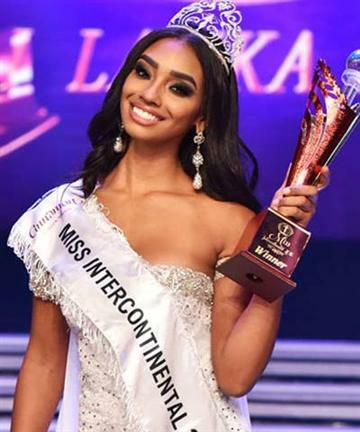 We didn't have a Filipino judge in Miss Intercontinental this year, right??? And I think I saw Hector Joaquin during the show. A PUERTO RICAN IN THE PHILIPPINE SOIL, happy with Karen's victory. 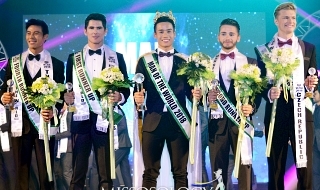 Hector Joaquin works for Miss Intercontinental. Go figure. Nina Cleopatra wrote: This Cooking Show is still going? Get over it already. Stop wasting these girls time and effort for nothing. Unless you want to humiliate them more. We all know where this is going. I HAVE A FEELING PHILIPPINES WILL WIN TONIGHT. This only shows how embittered Nina is! Can someone pass the meds quick! COME ON, LET NINA FORGET TO TAKE HIS MED FOR AT LEAST A WEEK SO THAT HE WILL BE MORE "EXPLOSIVE" IN SHOWING US HIS TANTRUMS. No EBT card, no meds. Arduina wrote: Very happy for Karen but geeeeeez such a CHEAP crown! If figuratively, I definitely agree. The quality of most of the candidates is very telling. Fortunately, the winner is gorgeous! All the finalist with only one exception, are beauties and deserving to be winners. san na kaya ipapadala ni madam ang 2nd or 3rd best nya after n2.? lamang walang na mgi so balik supra? FunX3 wrote: san na kaya ipapadala ni madam ang 2nd or 3rd best nya after n2.? Baka wala na ding Supra this year since lilipat sila ng Miss World Philippines. Leaves me wondering whether Ms Japan has Pinoy blood running in her veins? Also, does anyone know if the Japanese counterpart lady host has Filipino roots? Are the Japanese organizer(s) related to or has affinity with Filipino lineages? The main sponsor, who was he? and the prominent lady in the judging panel too? Is this year's Ms IC "filipinized" though they made clear the the sponsors are mainly Japanese? I'm in the dark can someone in the know share information on this matter? 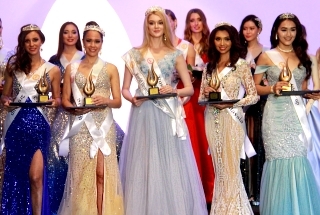 Miss Intercontinental Japan 2018, Akari Maeda, has no Filipino blood. She won the contest which I directed here in Japan on July 30 last year. The Japan team is headed by the mom of Kumi Miyamae (the co-host). She is a Filipino businesswoman in Chiba City, Japan. She is originally from Baler, Aurora. Most of the sponsors in the Philippines were Filipino, although the main person who foot the bill for the hosting was the Japan side. 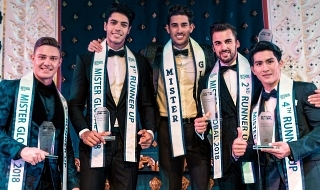 The original plan was to actually host this pageant in Chiba but the local government of Chiba City needed at least a year of preparation to be able to accept the hosting. 2020, this same people are bidding to host it, this time, in Chiba! Wala nang choice si Madam friend. Kasedohang minor pa yan, papatusin niya Kawawa naman si Eva kung walang kokoronahan pati si Jehza. Again? Dream on. Orangutan-turned-human (OTH) NINA KLEPTOPESTE. Inggit ka lang na hayup ka. Thank you for the reply Xamurai. This will put wagging tongues at rest. The Filipinos do not deserve the brunt of malicious innuendos from you know where. The Philippines and the Filipino hosts are always gracious notwithstanding the allegations that put the hosts and the country in a bad light. I OBSERVED MISS PHILIPPINES WAS CHANNELING DEMI. PACKAGED LIKE DEMI. THE MAKE UP, THE HAIR COLOR AND EVEN THE DEMEANOR. SHE WAS GLOWING!..MAYBE BEC BOTH GIRLS ARE SHORT. FACES ARE THEIR BEST WEAPON. Mrs. Araneta seems to be wearing a particular "Lucky Outfit" to both pageants. Para sa Chichi time na to - kayo ang ipag dedecide ko kung tama ba ang mga naging moves ng dalawang involved. Itago nalang natin sa pangalang - Jordan. Si Jordan ay tuh-lhen-ted. Magaling na mananahi at kelan lang na bigyan ng pansin sa pagkakawang gawa at outreach program sa pagpapasuot ng damit sa mga less fortunate. Well wala naman talaga masama. Natural satin maging matulungin. Ang kaso - nasa hulog ba? Ang siste etong si Jordan medyo na aligaga sa kanyang outreach program na halos iisa ang itsura ng mga biniyayaan nya ng grasya. Masaklap pa nun - na wili ata si Jordan sa pagtulong hindi nya naisip na may manok sya na dapat pag tuunan ng pansin. Vakeeet kamo? Ang manok lang naman nya representante ng isang bansang uhaw na uhaw na maka sungkit ng korona. Ang ending tinalakan ng husto ng manok nyang itago nalang natin sa pangalang - Jade. At bakit kamo hindi mag tatalak? Hindi pa tapos ang kanyang shining shimmering splendid na isusuot habang si Manay Jordan kinakalaban ang Front Row at Uno sa level ng networking mabihisan lang ibang kandidata. Nasa tamang hulog ba si Jordan mag mala NGO sa mga kapos sa Swarovski? Nasa tamang hulog ba si Jade mag tantrums at magtatalak? Akez... OK lang tumulong. Proud tayo dyan. Ilan na naitawid nating mga kandidata. Kaso kung yung pinaka bongga mong gawa para sa pinaka bongga mong cliente eh hindi naiiba sa mga pinasuot sa ibang mumshies na kulang nalang mag production number na sila sa pagkaka pare pareho.... Ummmm di ata OK. Keri lang yung lapitan ka at hindi ka makatanggi pero kung ikaw mismo nag vovolunteer work ilapit gawa mo sa iba, Isa o dalawa keri. More than that kaloka na ha. As for Jade - kahit Diyosa tao din lang. Kung kapatid nyo nga winawarla nyo kung kumukuha ng damit lalo na yung lalaban na ang taas ng expectations. Lamnyonaman sa ginagalawan natin - kahit echosin pa natin isa't isa na wala sa design Yun.... Meron Meron Meron! It makes me so so so so happy to see you so so so so UNhappy! but seriously -- it's so sad to see you reduced to this little. i gotta ask: as neurotic as it makes you, why are you feverishly following our girls like a sick puppy dog? WHY WHY WHY? Anyhew..... CONGRATULATIONS Karen!Your hard work and dedication throughout this 6 journey has paid off! I did it before, so shut up!